Do You Know What Your Customers Think? It’s not difficult to collect if you know how. 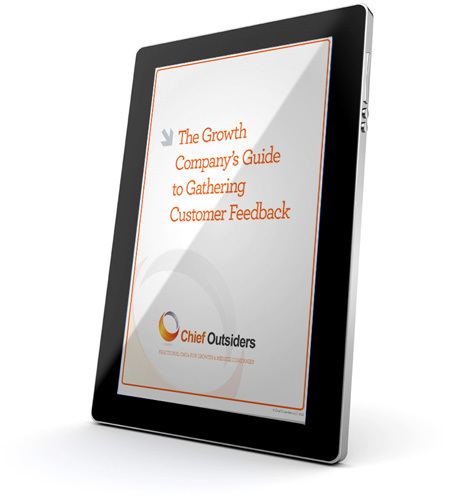 Download Slade Kobran’s eBook "The Growth Company’s Guide to Gathering Customer Feedback" for key information which will help you set up your own process to gather effective feedback from your customers. Slade provides insights which explain why customer feedback is so valuable, how you should and should not collect it, and how to use it. Follow Slade's approach to develop your own customer feedback process. Feel free to contact Slade directly at skobran@chiefoutsiders.com if you have any questions or want more information.